The long awaited storefront is now available to the public. Our hours are by appointment during the summer holidays of July and August. I will be posting pictures very soon. 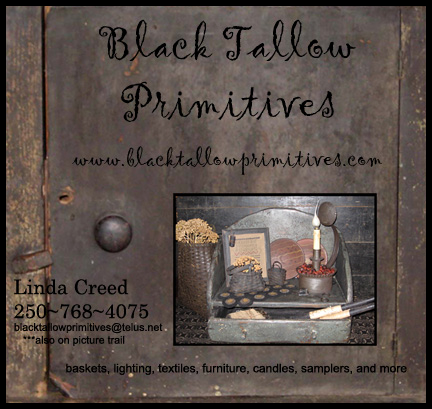 Check out a new online site "Black Tallow Primitives" offering unique grubbied baskets and hand crafted and distressed wooden furniture! Click on image to see their site!